I wish I could remember when it was that I realized my love for entertaining. Was it when I realized how delicious (and simple) food can be?! Was it when I bought my first house in 2003 and wanted to share it with friends? Or was it all part of my love for treating others and spoiling them rotten? I don’t know…but it has been fun creating new indulgences to feed my friends. It has also been fun to learn how to properly prep and pre-plan…and de-stress the process. I am certainly still not perfect and I am often still prepping this or that while chatting with our guests…but hopefully, I do it with a little more ease! Over the course of the summer, we have had our friends Bonnie & Matt over a couple of times. Ryan and Matt always enjoy chit chat over a beer…an occasional game on tv…or even jumping in the pool with Dino (though that hasn’t happened for Matt yet this year!) while Bonnie and I solve the problems of the world….or at least re-hash our professional aspirations, trials at work, and compare notes on our pregnancies! We laugh and laugh and laugh. I suppose that is the best part. 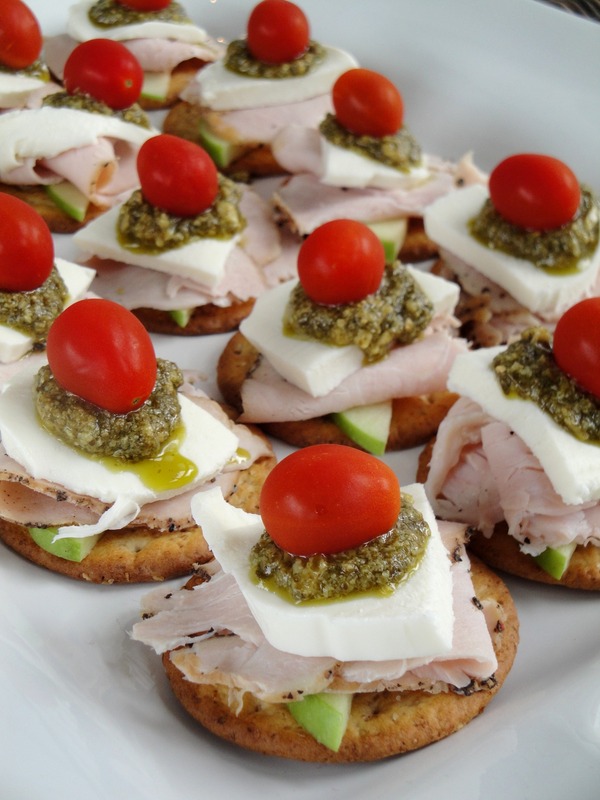 The other appetizer I recently whipped up was one I found in a Taste of Home magazine. 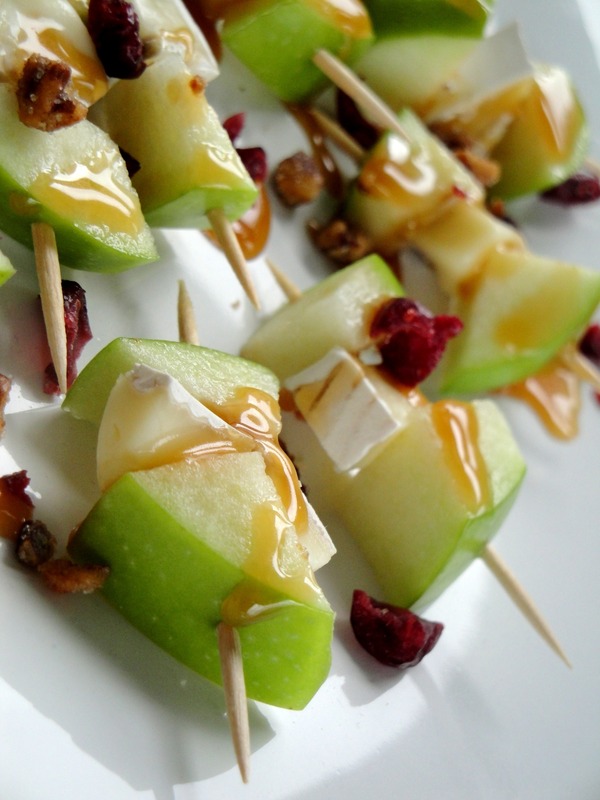 Caramel Apple and Brie Skewers! Yum! On each of the six wooden appetizer skewers (or mini toothpick skewers for smaller bites), alternately thread apple and cheese cubes; place on a serving tray. Drizzle with caramel topping; sprinkle with nuts and garnish with cranberries! Share with friends and enjoy bite after flavorful bite! Simple & Delicious! Whatever you are doing this summer, take time to treat yourself…and your friends to simple, delicious, elegant indulgences! « Older Post One.Twenty.Six. » Newer Post Introducing….Bella Boudreau! I wish I lived near you…. scratch that, I wish I was your neighbor…. I LOVE reading your posts about life and food…. it feels like lemonade on a hot day…. soothing, makes me feel human, part of the world, on days when being an almost full-time stay at home mom feels like living on a different planet 🙂 I want to come over, chit chat with you, and eat a million of your delicious recipes, … just thought you should know… hugs to you dear friend! Just found your blog – I am in the IC area too! 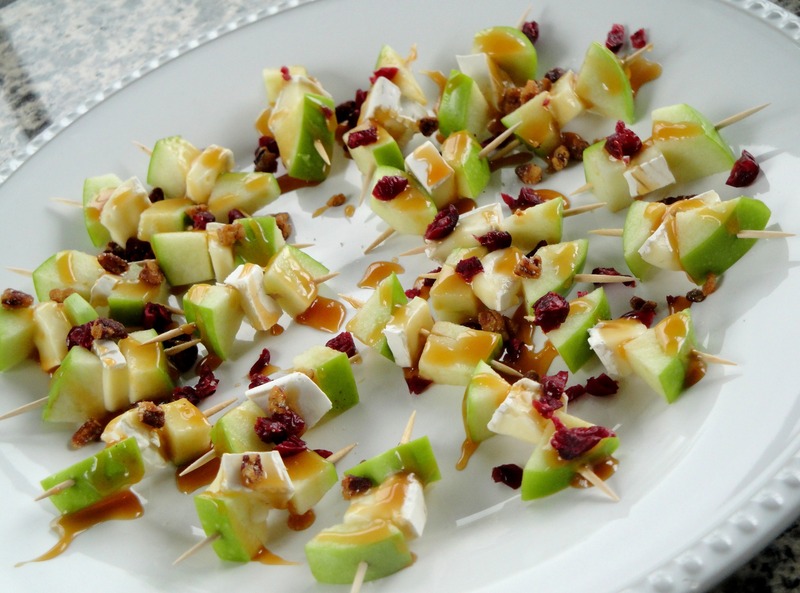 Anyways, those caramel apple and brie skewers look amazing, I’m definitely going to have to try making those. I love reading your restaurant reviews too – I’m a huge fan of Her Soup Kitchen’s portabella sandwich, glad to see I’m not the only one!! I’ve made the caramel apple skewers multiple times since reading this post. They are AMAZING!!! It has to be one of my husband’s favorite things to eat. I’m making them again for a baby shower next week.